The South African National Cancer Registry reported 1500 new cases of melanoma in 2013. The diagnosis of a malignant melanoma strikes fear into the heart of a dermatologist because these malignancies can spread rapidly through lymphatics and blood to involve other organs. Melanoma is a type of skin cancer, which arises from the pigment cells (melanocytes) in the skin. 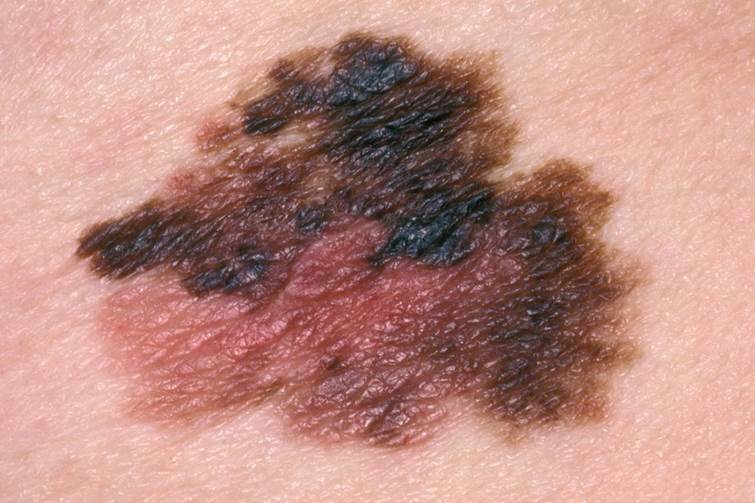 In a melanoma skin cancer, the melanocytes become malignant and multiply excessively. One of the most important causes of melanoma is exposure to too much ultraviolet light in sunlight. The use of artificial sources of ultraviolet light, such as sunbeds, also increases the risk of getting a melanoma. Melanocytes make a brown/black pigment (known as melanin), and often the first sign of a melanoma developing is a previous mole changing in colour or a new brown/black lesion developing. Most frequently there is darkening in colour but occasionally there is loss of pigmentation with pale areas or pink areas developing. At Atlantic Dermatology and Laser, we will always address any specific concerns which prompted you to book your appointment, but will urge you to take advantage of our Mole Mapping and skin cancer screening service as well. Melanomas if caught early have a very good prognosis and require only a wide excision. More advanced melanomas unfortunately carry a very poor prognosis. We cannot emphasise enough the value of annual screens and the care we take during the screening process to teach you simple things to watch out for at home.